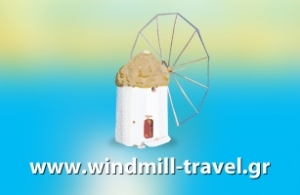 Intros.gr presents the brand new website of travel agency "ANEMOMYLOS TRAVEL" located in Paros Island. Cruises, tours, special excursions, accomodation arrangements in the best hotels, tickets, and car & bike rental are some of the services provided. In intros.gr we developed a dynamic website, with a lot of photos, categories by subject, user friendly form of communication, and it is bilingual.